After a Wikistrat Webinar I did, MarketWatch asked me about Saudi & OPEC policy, ond US Shale. Read on here, or at MarketWactch! – Tom O’D. The oil market has given members of the Organization of the Petroleum Exporting Countries a reason to crack a cautious smile when they meet June 2 in Vienna. Signs of a more stable oil market have emerged since the cartel members last held a regularly-scheduled meeting. Oil prices CLN6, +0.04% LCON6, -0.38% have gained more than 30% so far this year. And both West Texas Intermediate, the U.S. benchmark, and Brent crude, the global benchmark, briefly traded above $50 on Thursday. Global production is falling following a larger-than-expected weekly decline in crude supplies, according to a report from the American Petroleum Institute late Tuesday. The report comes as the number of active-drilling rigs have been in a steady state of decline and oil-company spending cuts, oil-and-gas sector bankruptcies, and recent outages in Africa and North America, have been supportive for crude prices. “OPEC members are likely to be a little happier going into June’s meeting than they were in December,” Tom Pugh, commodities economist at Capital Economics, said in recent research note. But that doesn’t mean major oil producers can sit back and relax when they get together. 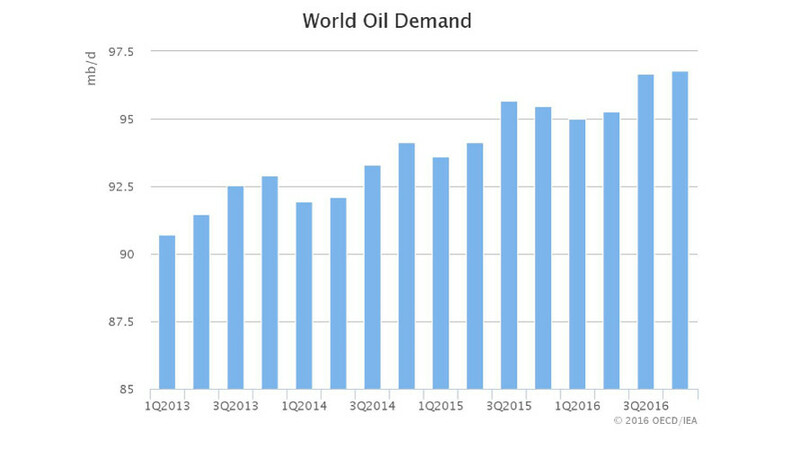 Oil market supply and demand haven’t fully stabilized and there a lot of factors than can, and probably will, rock OPEC’s boat. Talk of a production freeze has resurfaced ahead of the meeting, which follows two failed attempts this year to successfully implement a plan to stabilize global oil production. “The market is eager to hear about a viable agreement between the OPEC producers and [non-OPEC] Russia to limit production,” said Dr. Ariel Cohen, a nonresident senior follow at the Global Energy Center at the Atlantic Council. Saudi Arabia, Russia, Qatar and Venezuela said in February that they wouldn’t increase oil production above January’s levels, but only if other major oil producers followed suit. OPEC member Iran was very clear, then and now, that it will continue to raise its output to presanction levels before it’ll even consider such a move. Major oil producers met again during a highly anticipated special meeting in April and failed to reach a deal. The market really needs to freeze production, “in order to create a firm price floor and allow the oil price to gradually creep back upward,” said Dr. Justin Dargin, senior follow at the Oxford Institute for Energy Studies. 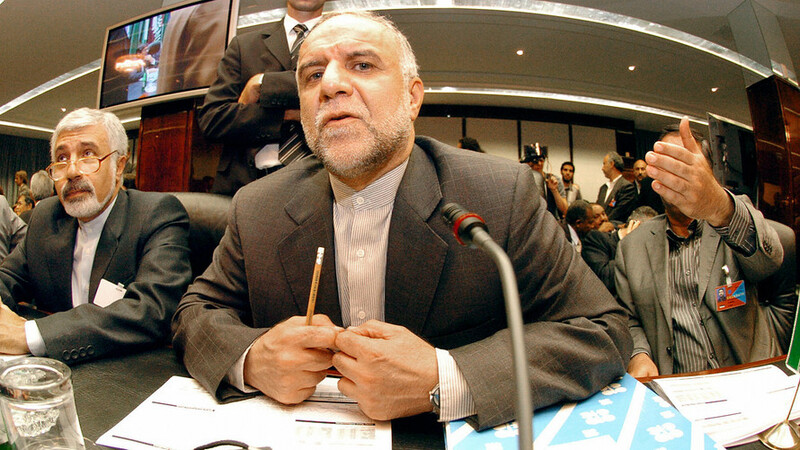 AFP/Getty Images/ Iran didn’t bother to send Oil Minister Bijan Zangeneh (above) to the Doha meeting in April. Market shareOf course, the biggest obstacle in getting a deal done to freeze output is market share. “There are concerns that Saudi Arabia and Russia could increase output in the next few months to maintain market share as Iran ramps up its production,” said Pugh. In April, Iran raised its daily oil output by 300,000 barrels a day to 3.56 million barrels a day, according to the International Energy Agency. That’s a level not seen since before sanctions on the country were tightened. “Market share is market share and it is not in Saudi interest to make any meaningful concession on output that grants Tehran greater market share without significant concessions on other matters such as Syria, Yemen and similar,” said Thomas O’Donnell, a global energy analyst and a fellow at the American Institute of Contemporary German Studies. “For now, there is no evidence that such deals are near at hand,” said O’Donnell, a Wikistrat analyst. AFP/Getty Images. 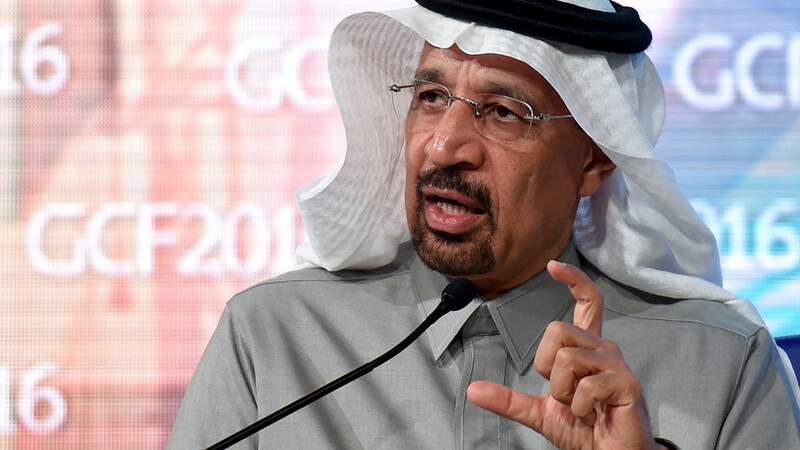 Khalid al-Falih replaced Ali al-Naimi as Saudi Arabia’s oil minister. Saudi oil regime changeThe OPEC meeting will also be the first with Khalid al-Falih as Saudi Arabia’s oil minister. 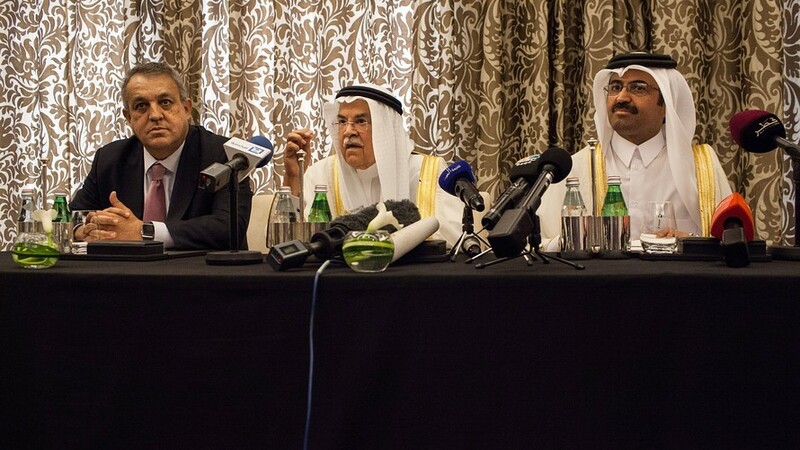 Al-Falih, chairman of Saudi Arabia Oil Company, replaced longtime Saudi Oil Minister Ali al-Naimi earlier this month. “The appointment of a new energy minister is significant because it signals that Saudi Arabia, under Prince [Mohammed bin] Salman, intends to double down on its market-share strategy and commitment to low oil prices,” said Ravi Ramamurti, a distinguished professor at the D’Amore-McKim School of Business at Northeastern University. Salman wants low oil prices for two reasons: “the economic motivation is to slow the pace of substitution of oil” and the “political reason is that lower oil prices make it easier for the Prince to administer hard medicine necessary to diversify away from oil,” said Ramamurti. Last month, the Kingdom approved a long-term blueprint for economic reform, dubbed “Saudi Vision 2030,” and said it plans to make itself capable of living without oil within the next four years. Of course, there is a chance OPEC members can just leave the oil market to take care of itself. The peak summer energy demand season is coming up, which will likely result in lower oil exports, said Dargin. Read: Is surprisingly strong gasoline demand a sign of what’s to come this summer? ‘Lipstick on a pig’ outcome? 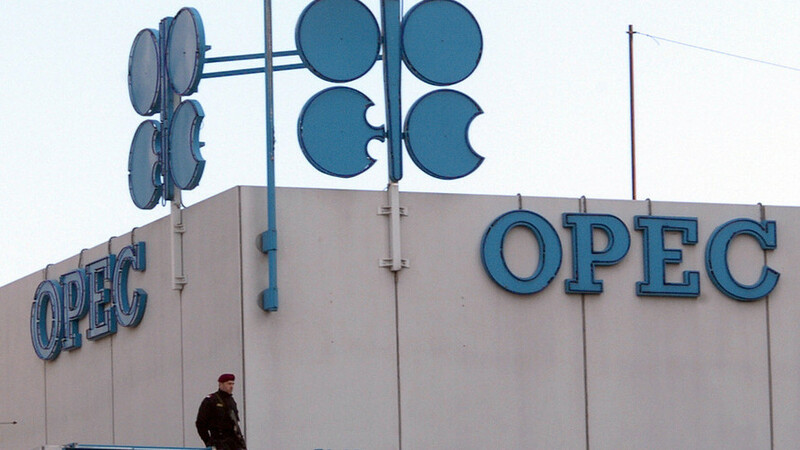 With so many factors to consider, OPEC will have to collectively find a middle ground. Kuwait, Qatar, Saudi Arabia and the United Arab Emirates have half have of OPEC’s production and “relatively strong financial but weakening portfolios,” he said. So at most, OPEC may put a cap on production, he said. Still, OPEC can “potentially try to put lipstick on a pig or try to dress it up by having some kind of statement that tries to bring people together,” said Croft. –Sara Sjolin contributed to this article. Copyright ©2016 MarketWatch, Inc. All rights reserved. This entry was posted in AICGS, Energy and Geopolitics, Energy and Geostrategy, Global Oil Market, Global Oil system, international relations, Oil prices, Oil supply, OPEC, PDVSA, Saudi Arabia, shale oil, The USA, Tight oil, U.S. oil, Uncategorized, Venezuela oil and tagged Energy, geopolitics, OPEC, PDVSA, Saudi Arabia, United States. Bookmark the permalink.